While sleet and freezing rain hammered other parts of New England, it was an all-snow event in Gray, Maine. There was no sleet or freezing rain in Gray, Maine, Wednesday night, like there was in other parts of New England. It was an all-snow event. Thanksgiving will be a working day for crews in the area. More than 70,000 people were without power in the state. A limited emergency was announced in the state, allowing utility workers to stay on longer hours. 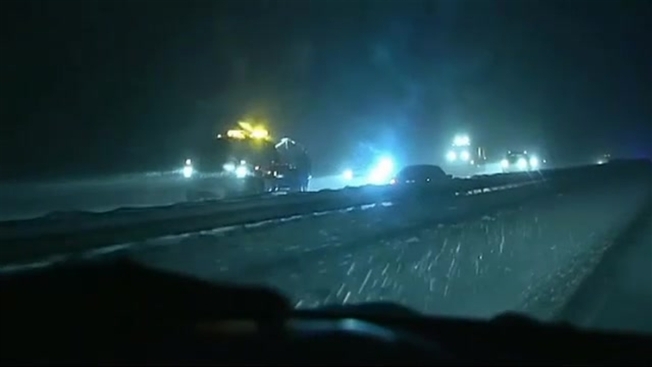 The storm dumped snow on the roads, making holiday travel difficult. "Growing up in Maine, as I did, I would normally be relatively used to this, and this is still some of the worst conditions I've seen," said Andrew Slipp, who traveled from Rhode Island.